Colorado’s next big source of drinking water may be recycling and reusing what customers flush down the drain. That’s the idea behind a cutting-edge demonstration project set up at Denver Water’s recycling plant on York Street in north Denver. Some of Colorado’s water providers have recycled water for reuse — mostly for irrigation purposes — for more than 50 years, said Laura Belanger, a water engineer with Boulder-based Western Resource Advocates, a policy group. But the demonstration project takes the recycling to the next step — treating water via a five-step process to a level where it’s safe to drink. The equipment, which can treat up to 15 gallons per minute, mimics nature’s water-cleaning ability but does it much, much faster. A gallon can pass through the system in less than 30 minutes, said Austa Parker, a water reuse technologist with Carollo. Water that’s passed through the Metro Waste Water treatment plant and destined for the South Platte River is passed through the system. The demonstration system is unique in that it doesn’t produce an extremely salty brine that requires its own disposal process, she said. Interest in recycling water and using it inside homes is growing across Colorado, Belanger said. The Colorado Water Plan, adopted in 2015, called for recycling more water. And a group of utilities, state health officials and water recycling enthusiasts are exploring issues around using and drinking recycled water with an eye toward crafting new state-level regulations, Belanger said. The cost of building and equipping such a treatment plant depends on many variables, including the quality of the source water and the type of treatment it needs, she said. But a recycling plant is cost-competitive when compared to the costs of obtaining and transporting new water supplies, she said. Xylem Inc. (NYSE: XYL) has been engaged as a water technology solutions provider to the PureWater Colorado Demonstration Project, which aims to demonstrate direct potable reuse (DPR) as a safe, reliable and sustainable drinking water source. 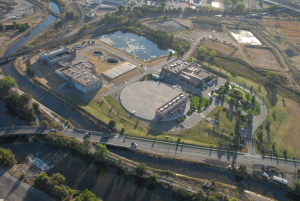 Denver Water has partnered with Carollo Engineers, WateReuse Colorado (WRCO) and Xylem on the project which is located at the Denver Water Recycling Plant and will run during the month of April this year. Some of the water produced will be used to brew beer to raise awareness among the general public about this water purification process. A range of Xylem’s solutions including a Wedeco MiPRO advanced oxidation process (AOP) pilot system and a Leopold granulated activated carbon (GAC) filter pilot will be used in the project which features a unique treatment train that avoids the use of reverse-osmosis (RO) membranes and their associated high capital and operating costs as well as brine disposal. Xylem is a frontrunner in the field of water reuse technology, providing advanced solutions and expertise to reuse applications across the US, as well as globally. In California for example, Xylem’s Wedeco MiPRO advanced oxidation processes (AOP) is operating at Los Angeles Sanitation’s Terminal Island Water Reclamation Plant. The customized solution is the first greenfield AOP design using ultraviolet light with chlorine – a significant innovation to make water reuse more sustainable and cost-effective. Last year Xylem signed a multi-year commitment (2017-2019) to support Water Environment Research Foundation (WE&RF) research into water reuse, building on a previous three-year research partnership and solidifying Xylem’s commitment to advancing the use of recycled water. Internationally, Xylem works together with the IVL Swedish Environmental Research Institute and the Singapore Public Utilities Board (PUB) to progress water reuse.